Dinner at Hong Kong Cuisine. 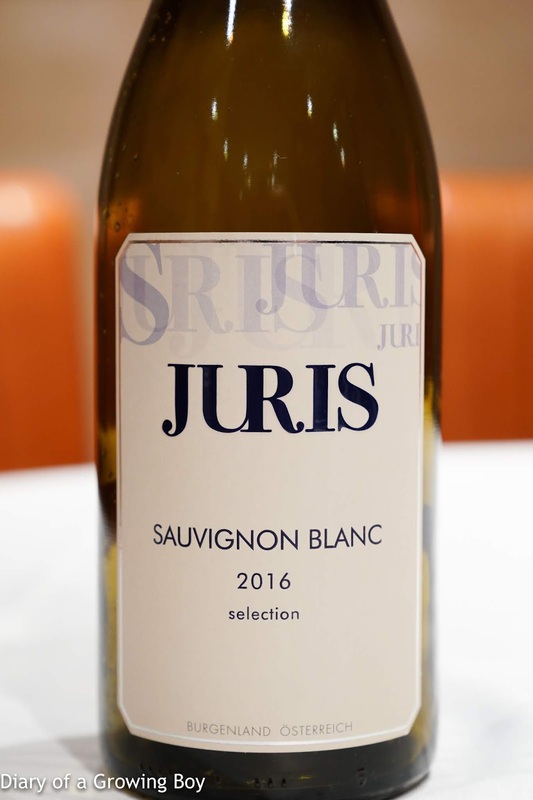 2016 Juris Sauvignon Blanc - pretty fruity and tropical, stone fruits, flint. Ripe on the nose as well as on the palate, with a bit of acidity to balance. Nose was fairly big but a a teeny bit pungent. 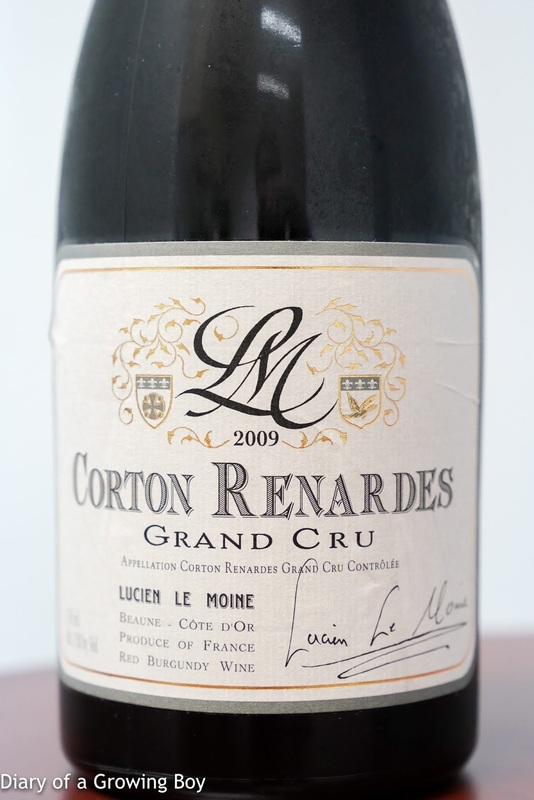 2009 Lucien Le Moine Corton Renardes - served 1½ hours after opening. Pretty sweet and ripe on the nose, with coconut and almost bubblegum notes. Around 2 hours after opening there was almost a hint of coffee. Tannins still here. 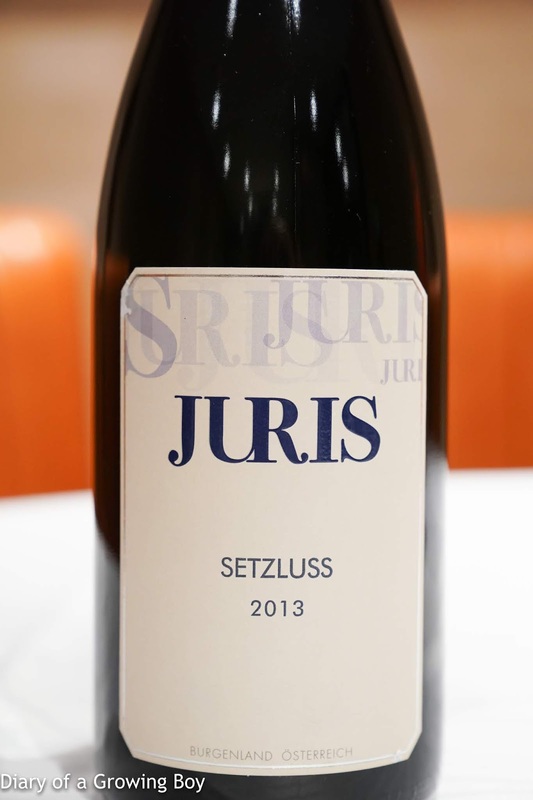 2013 Juris Pinot Noir Setzluss - ripe and fruity, also a hint of coconut. About an hour after opening showed some smokiness, and almost toasty and coffee. 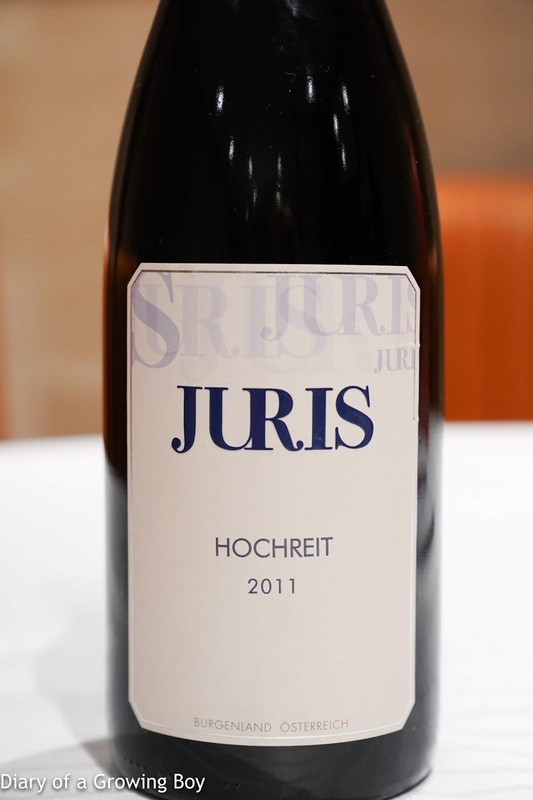 2011 Juris Pinot Noir Hochreit - served about an hour after opening. Very sweet on the nose and especially on the palate, almost a little jammy. A bit more animal and leather notes here. 2011 saw an extended growing season. 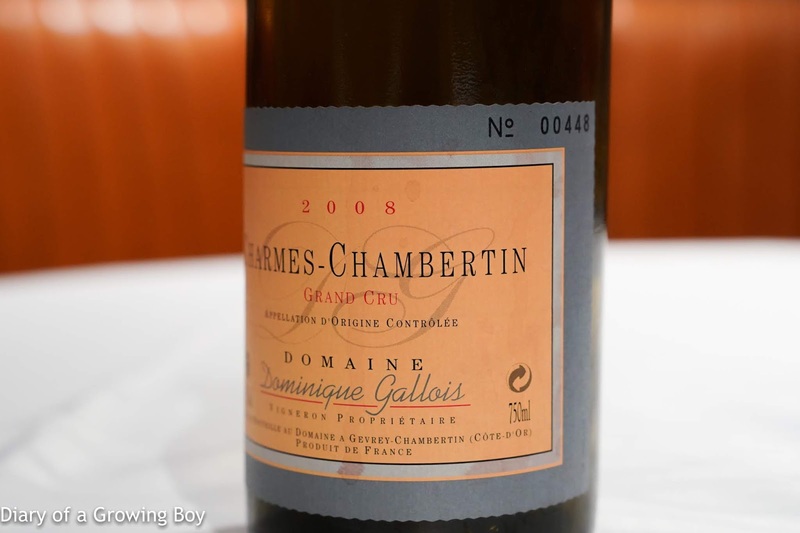 2008 Dominique Gallois Charmes-Chambertin - served 1½ hours after opening. 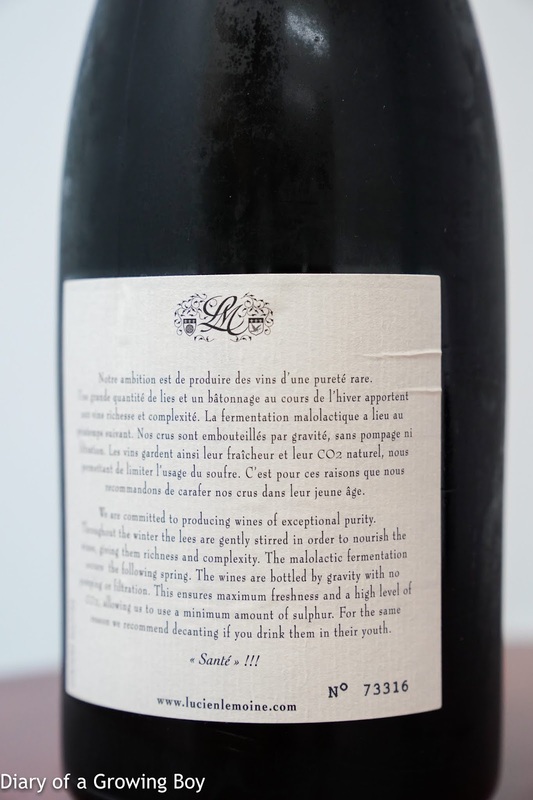 Ripe and stewed fruit, a little savory, with slightly higher acidity. 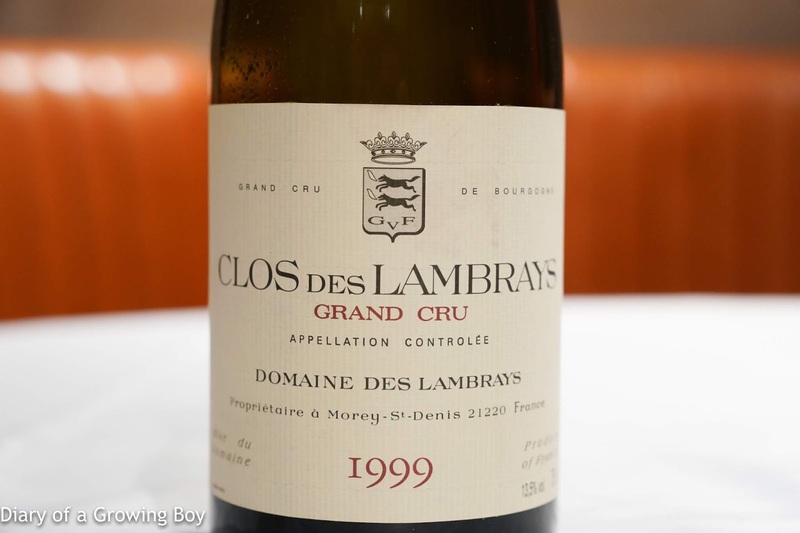 1999 Domaine des Lambrays Clos des Lambrays - served 1½ hours after opening. Good fruit here, and softer on the palate. 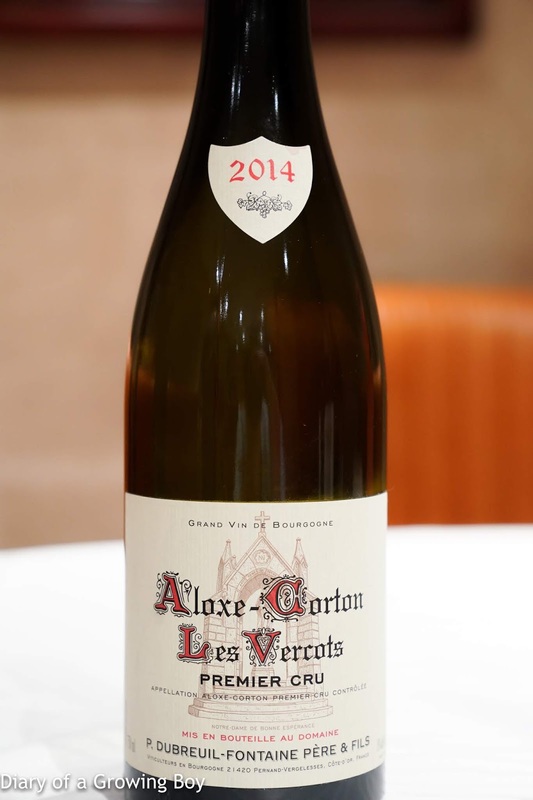 2014 Dubreuil-Fontaine Aloxe-Corton 1er Cru Les Vercots - very cool fruit, a little eucalyptus, maybe a little stemmy. Perhaps needed a little more aeration. 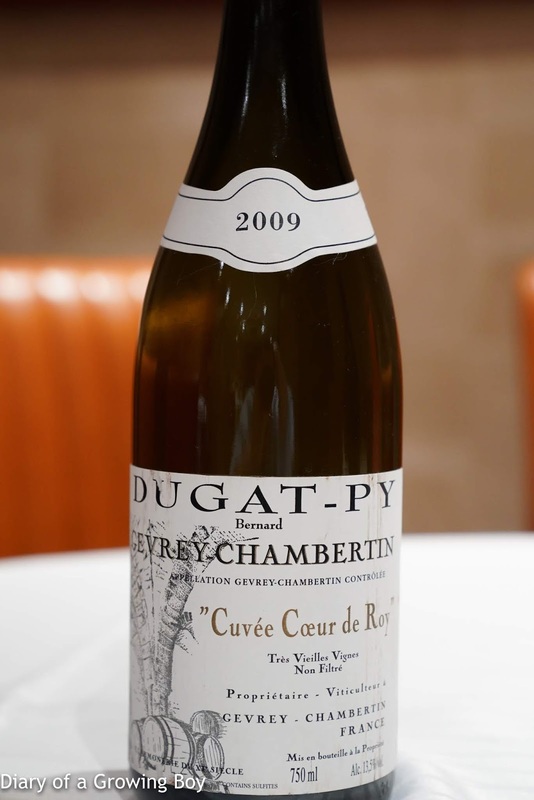 2009 Dugat-Py Gevrey-Chambertin Cuvée Cœur du Roy - served 2 hours after opening. A hint of toast, a hint of leather at first, pretty smooth on the palate. Showing a little more smoke and heavier toast, as well as fragrant wood notes. Leaner on palate. 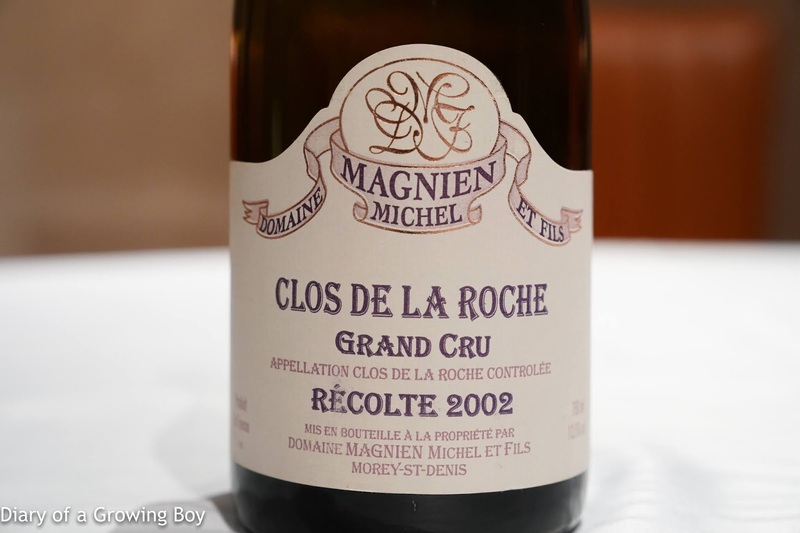 2002 Michel Magnien Clos de la Roche - served 2½ hours after opening. Minty, maybe a bit sulfur. 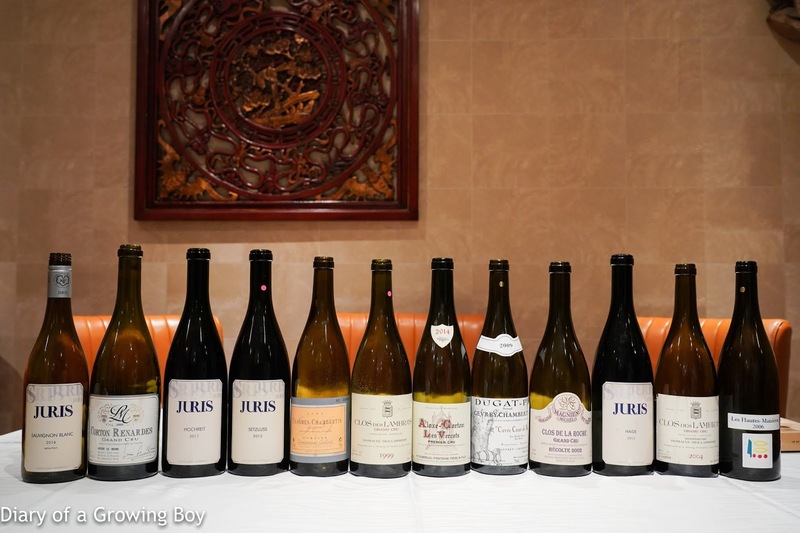 Pungent and not well-integrated nose, with huge toasty notes. Later on the nose opened up a little more and showed some fruit. 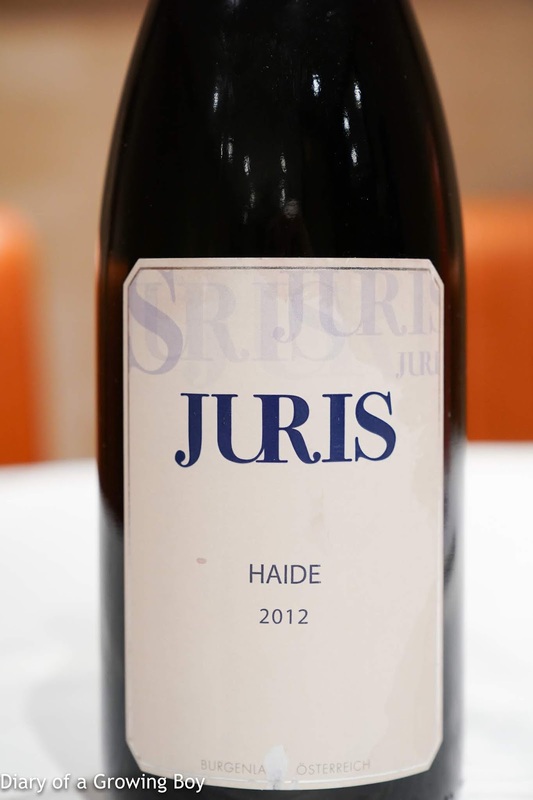 2012 Juris Pinot Noir Haide - served 2½ hours after opening. Very young and fresh, lovely, with lots of dried herbs and pretty sweet. Not quite integrated, and almost showing Chinese medicinal herbs like ginseng. From Dijon clone 114 planted in 1980s. 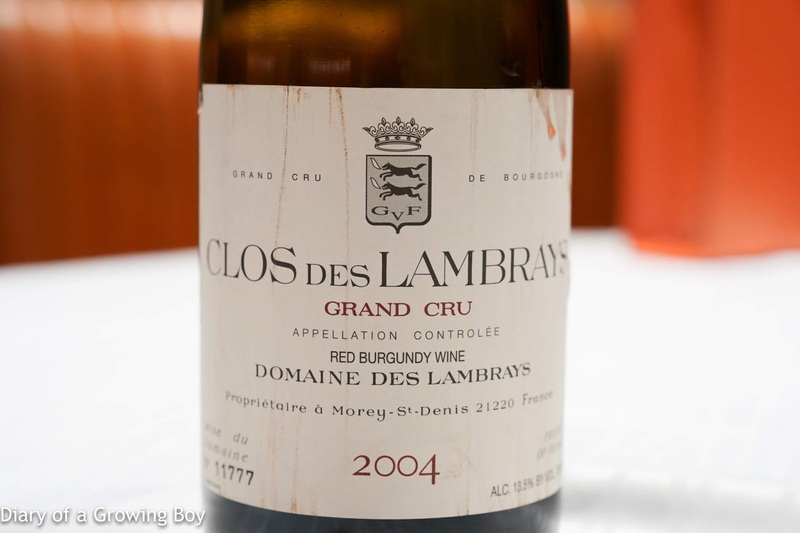 2004 Domaine des Lambrays Clos des Lambrays - served 3 hours after opening. Nice and ripe. Pretty open. 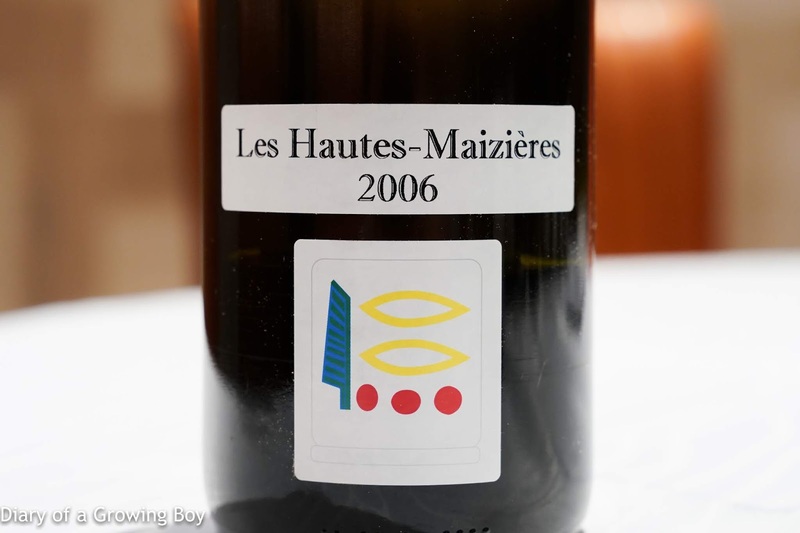 2006 Prieuré-Roch Vosne-Romanée Les Hautes-Maizières - toasty and ripe nose. Fragrant with a hint of stewed fruit.